Looking to cool off and stay weird? Find out what’s happening this month in Austin! 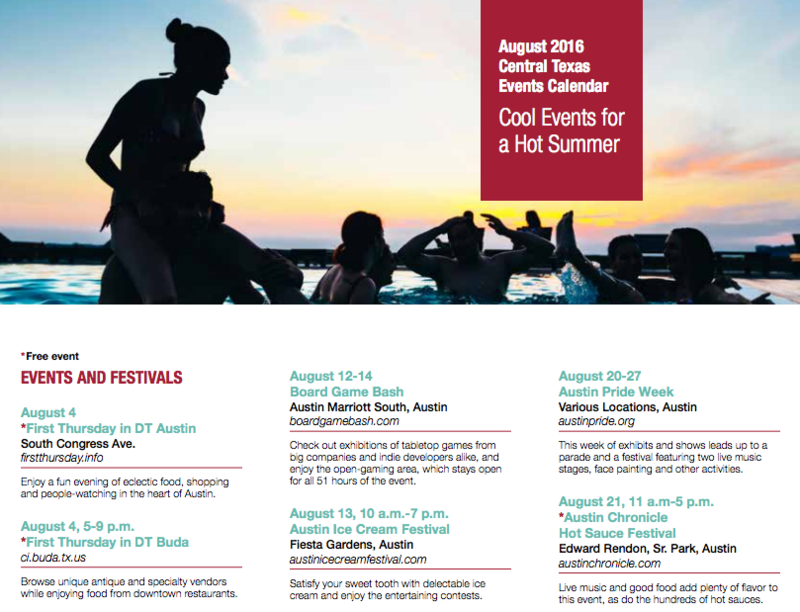 For a full list of events here in Austin, check out this awesome CALENDAR OF EVENTS for August brought to you by our friends at Stewart Title. Don’t forget that if you are looking to buy and/or sell your home this year, we are here for you! To get in touch with us, just give us a call at 512-330-1004 or email us at Office@PapasanProperties.com.